This Friday we will not have a weapon training class. AKBAN veterans and me are going to the “40 years Taikai”, a special event to celebrate 40 years of Bujinkan in Israel, a conglomerate I helped build and care deeply about. The Red Sea dojo, under the leadership of Udi Zaga Sensei, organized a wonderful opportunity to learn and meet, a timing that reminded me I have been Doron Navon’s student for more then 38 years now. Here’s a link at the Red Sea dojo homepage for late registration. I will be teaching as usual at Thursday Tel Aviv dojo, and will start going south only after the session. At the groups we will hone our Ukemi skills and combine Karuwaza abilities with immediate re-engaging. At the veterans groups we will do the same and continue learning Kukishinden upper level katas. I attached three clips: one is basic rolls in Ninjutsu, another one is a classic Aikido Ukemi, for comparison, but the first one is the best, it shows that we were prepared for the Red Sea Bujinkan Taikai long, long time ago. In the same way, once you understand why you do something in math and science, you don’t have to keep re-explaining the how to yourself every time you do it. It’s not necessary to go around with 25 marbles in your pocket and lay out 5 rows of 5 marbles again and again so that you get that 5 x 5 = 25. At some point, you just know it fluently from memory. This Friday we will not have a weapon class. In the dojo we will train on applications of Kata Guruma and sacrifice throws. The Veteran groups will work with another Kata from the Shirabe Moguri level. He would say, it is not your call to finish the task, but neither are you free to be lazy about it. If you studied a lot of Tora, they give you a lot of reward. This Friday we will not have a weapon training session. This week each dojo will practice a different syllabus. At the Jerusalem intermediate groups we will work on setting up throws and joint locks. The veteran group in Jerusalem will learn another Shirabe Moguri kata and practice the three kata we already know. At Ramat Hasharon dojo we will learn and practice the complete basic flexible weapon primer for grappling and striking distances. We will learn the home routine for these distances plus combining the short ballistic arc with the Tsuki strike. Tel Aviv intermediate will work on elbow locks in grappling and two sacrifice throws. The Veterans in Tel Aviv will do the same syllabus like their Jerusalem counterparts and learn another Kukishinden kata. 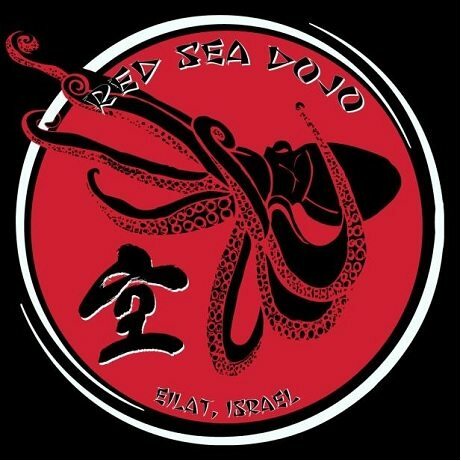 Hello dear AKBAN veterans, I attached here a personal letter to all of us from Udi Zaga Sensei, the Dojo cho of Bujinkan Eilat dojo, AKA the Red Sea dojo. A happy and unique occasion has come. Veteran instructors from the oldest school outside Japan are going to teach their perspectives on the 40th anniversary of Bujinkan in Israel. As you all know, I founded Bujinkan Israel with M. Nativ years ago in addition to our extensive Ninjutsu documentation, and I am glad for the opportunity to teach and learn from some of Doron Navon’s direct students. This is a once in a lifetime opportunity. I’ll let Udi Zaga Sensei speak. BTW, this happens at Eilat at 4.12.2014-6.12.2014. PS. I translated the text from Hebrew. Any mistakes and inaccuracies are mine. You must be asking, what is it with a Taikai in Eilat, what kind of a weird idea will cause people to travel so far for training, who are those dedicated fans? Well, we are a small group that took the responsibility to make this commemorative event happen. 40 years of Bujinkan in Israel. We take this event very seriously because it offers once in a lifetime opportunity to see the immense variety of the students of Doron Navon, the variety of perspectives our little country has to offer. The best teachers in Israel have already committed to teach in this event. We want to give a place for every interpretation and insight of our Budo, there is no other way. The main theme is the Kihon, the common basics done through a myriad of interpretations. At the past we made similar events in Eilat on a smaller scale. These were very successful and highly professional meetings. We know it is difficult to come to Eilat, as residents of Eilat we do the same every time we travel to events in central Israel. From these experiences we built something that will allow vacation and Ninjutsu at the same time. Believe us, this is a winning combination. You can practice and your family can have that wonderful vacation. This will be a sunny weekend with a warm Eilat sun. Nobody is left out and we all get a chance to show what we have been doing all these years. The location of the event in the Dekel beach (Hof Hadekel) is central and close to many amenities. Eilat will also host, at the same dates, the Triathlon, so happy festivities will be the norm. With invite you to click on our event website and register. אז קדימה, שנו גישה. פתחו את דף האינטרנט שלנו והירשמו באתר שפתחנו במיוחד www.redseadojo.com. This Friday, 14/11/2014, 08:00 sharp, we will have weapon training. During the week we will be working in the intermediate groups on Daken Taijutsu (esp. Kicks) and Nage waza. The veteran groups will continue to work our way deeper into the Shirabe Moguri gata level of the Nine Demons system with Gyaku Nage, Uchi Harai and Gongi. I attach two relevant videos. The second one is a Jogo De Pau that shows the basic stances of the middle length stich. Interesting in comparison with the Kukishinden syllabus. The first video shows sabaki work in MMA that is similar across Ninjutsu and Modern Boxing. As an added bonus we get another use for Underhook/Ganseki throw. Very well done, though you can’t beat the sunglasses of the second video easily. The memorization process is very difficult. Consider that you have to remember those three things for a month-every time you change course, every time you slow down. This Friday the weapon group will work on Kukishinden middle length stick kata. In the intermediate groups in Jerusalem we are continuing our work with kicks as means for Kansetsu waza. We will work with Hanbo in the Wednesday session and also Gyokko Ryu kata. The Tel Aviv intermediate group will work on kicks and add Muto dori of Gyokko ryu. The advanced, kata, groups in Ramat Hasharon, Tel Aviv and Jerusalem will repeat Gyaku Nage, Uchi Harai and learn a new kata from the Shirabe Moguri level of Kukishinden Ryu.